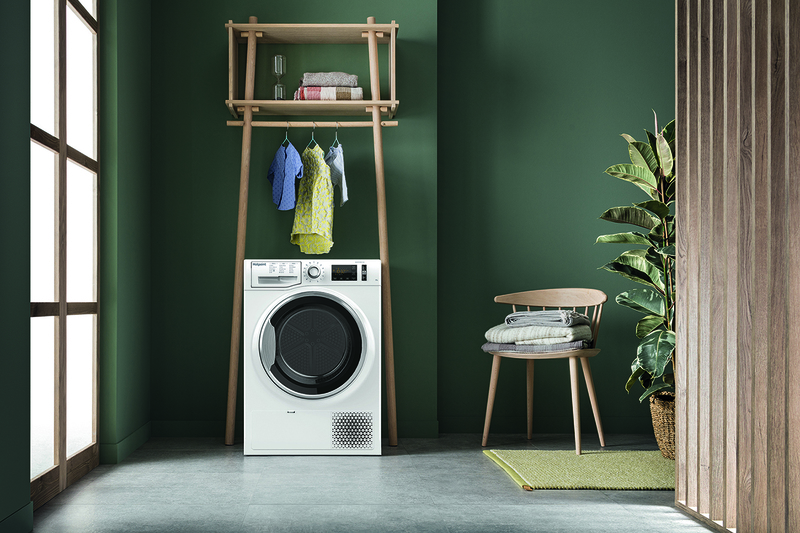 Following the release of its ActiveCare range of washing machines, Hotpoint has launched complementary ActiveCare tumble dryers. The 8kg ActiveCare tumble dryer (NT M11 82XB) is claimed to better protect clothes by reducing wear out by up to 40%. The tumble dryer allows the user to tailor the drying cycle for a range of materials, including cotton, silk and synthetics. There is also a dedicated woollen programme, endorsed by Woolmark. It also has an anti-allergy cycle, approved by Allergy UK. It achieves an A++ energy rating, saving 45% more energy compared to a B-rated model. The tumble dryer features a large door, trimmed with stainless steel, and also an enlarged display with a touch-button user interface for smooth operation. It measures 849 x 595 x 655mm and has a noise level of 65dB. Jennifer Taylor, head of brand at Hotpoint, commented: “ActiveCare dispels the myth that tumble dryers damage clothes and are costly to run. Hotpoint has a keen focus on reducing waste, as evidenced by its recent pop-up cafe in London for its ‘Fresh Thinking for Forgotten Foods’ campaign.